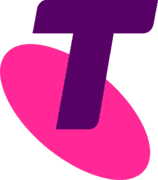 In order for our Mass Market Activations to achieve key strategic objectives we need someone to lead and drive process improvements for Telstra NBN Customer Connect. Based anywhere in Australia you’ll develop and maintain process deliverables and activities that will contribute to increased reliability, efficiency and overall improvement of the NBN Customer Connect business. As the Process Analyst you'll..
As the Process Analyst you&#39;ll..